Each of them works well as I used all of them for 35 years. What is the best way to learn to speak Spanish well? Some helpful suggestions to improve your mastery of the language. If you are a serious learner, get busy with this MOST USED list of (1) 100 words below to start with...then follow with the (2) TOP 25 Spanish words you will need to use and to remember. These are a "must" and it is a great list. 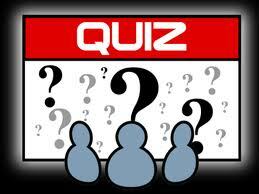 Quiz a classmate. Have a classmate quiz you. Maybe even have your sister or brother quiz you. Why not? Now learn them all. Drill one another. 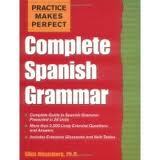 A basic necessity to learning Spanish. Now learn these as well. Make lists. These are the all "biggies." Dozens of schools all over the world. Can you guess where I call home? This tool will allow you to conjugate spanish verb infinitives. 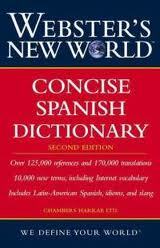 It is ideal for studying as well as completing high school and college spanish class assignments. 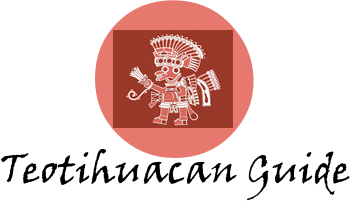 A totally loaded site dealing with verbs from the Spanish Institute of Puebla. Here is where learning Spanish starts...verbs! Type the verb you want to look up in the VERB box. Help with Spanish verbs by E.L. Easton/Rich site! 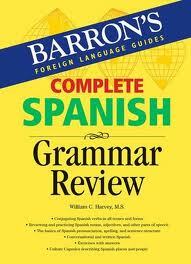 Spanish Language and Culture was formerly known as Spanish Grammar Exercises. Learning Spanish online for free with grammar lessons and word lists. 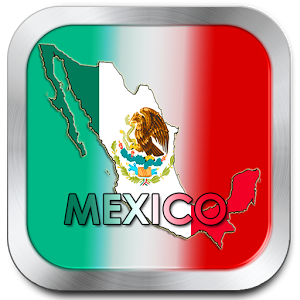 The goal of this site is to provide completely free online Spanish language lessons. By Andrew Lawton,a community college Spanish instructor. He teaches several online and "live" college level Spanish classes. This is a Spanish grammar practice site for students who are looking to improve their Spanish. Spanish Grammar Tools. Are you having trouble differentiating between "ser" and "estar", or are you struggling with the correct use of "por" and "para"? 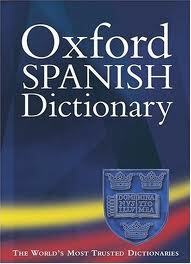 Here you will find useful information on common grammatical obstacles and difficulties of the Spanish language. The following is a list of grammatical terms used in Spanish Language that also would be helpful if you want to learn another language of Indoeuropean origin. Welcome! Learn the Spanish language online with our free collections of basic Spanish grammar lessons, vocabulary lists, and verb conjugations. 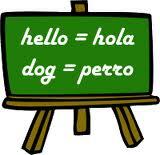 Spanish courses online with personalized tutorials by native Spanish teachers. Spanish grammar courses, preparation courses for D.E.L.E. 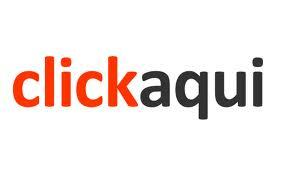 diplomas, skills practice, vocabulary and training courses for Spanish teachers. Very Rich! Find Spanish lessons and resources with these indexes. Why learn Spanish from Ailola? Fluent Future is a community-based language exchange platform. The Foreign Language Library Online (FLLO) is a collection of short articles on a variety of familiar topics, translated from English into several different languages (French, German, Spanish and Russian). Spanish Grammar Exercices from Trinity Univ. Good practice for Levels I, II and III. Study Spanish the fun and easy way! Super aids of all kinds here..
Beginners, intermediate, and advanced learners can use these Spanish-language lists, exercises, and other resources to build fluency. A plethora of vocabulary builders for Spanish students by J. Vanderwerken. A wide and varied listing form prepositions to clothing. Here are some adjectives to do with basic concepts such as size, temperature, age and basic descriptions. Using Basic Adjectives. Great for review. It's a great idea to learn Spanish so you can develop your conversational skills.Being able to communicate in Spanish will make travel experiences richer and more memorable, and there many other benefits of learning Spanish, too. Several other languages are available on this site as well. Knowing the Spanish words for key items of clothing is useful for visitors to Spain or other Spanish speaking countries and can be particularly helpful when shopping. Several additional links as well. Spanish Fun and Games Site. Same source as above but this one is for younger kids. Dozens of games for Spanish lovers. Play in Spanish or English. Cientos de juegos online por categorias, juegos gratis de coches, lucha, acción, Nuevas Vistas and Ven Con Migo. Spanish Language Games. Lots of them and fun ones too. 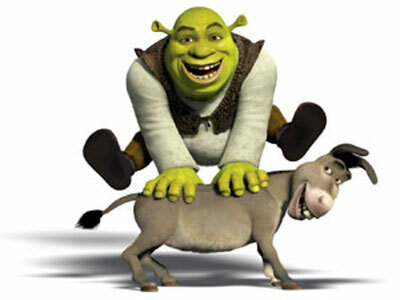 Spanish Matching Game - Match the word with the image. Lo máximo en juegos en linea. Millions of sudoku with high score list. 4500 coloring pages that can be colored online. Can't beat that! 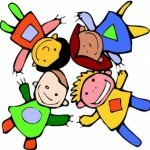 This blog is a collection of resources for teachers of Spanish to children. 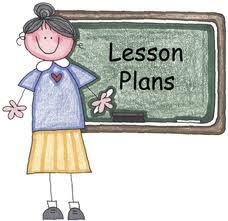 Lesson plans and tips for teachers of Spanish. Google Finds for Spanish-Teacher Websites. Lots of great aids here. The origin of the language and the Spanish language today. Resources for Spanish Teachers and Translators/A totally loaded site! 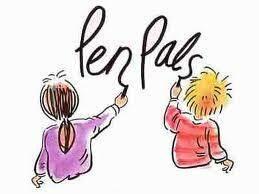 Phonics/grammar/stories/soundbites/games and pictionary in Spanish and French for grades K-8. A page is for your enjoyment and enrichment by Sra. 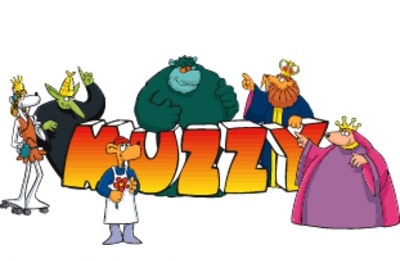 Nuzzi/Loaded! FL Teachers on the web/Rich! Spanish language drills | Columbia Univ. You may already be aware of this neat site. If not, it has been "buried" below, and I wanted you to be able to access it more easily. So I put it up here. It is loaded and very helpful for drilling hundreds of Spanish verbs, vocabulary and helpful everyday expressions. Dozens of them for teachers to consider in their classrooms. Objetivo: Una variada oferta de actividades divertidas basadas en productos culturales auténticos (videoclips, canciones, tiras, noticieros, etc.) en las que se pretende aprender por Spanish3.htmlrimiento sobre el idioma español y las culturas del mundo hispanohablante. Worksheets ready to go/A loaded website! So how many of these countries have you visited? Key Expressions such as I'd like, Do you have, Etc. Luis also offers Spanish online tuition for everyone through skype. So now you can learn Spanish wherever you are at the time you wish. 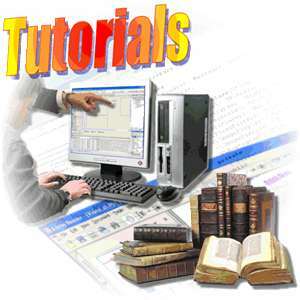 Welcome to The Tutor Pages Spanish homepage. Here you can find Spanish Tutors and Spanish Lessons in your area using our postcode search facility, or browse tutor articles written on Spanish. A colorful loaded site with lots of action and with sound. 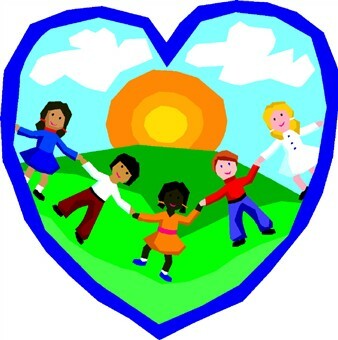 This is a loaded site with many different elementary games for younger children. 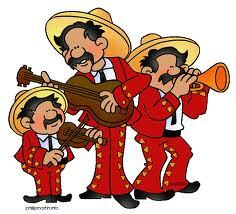 Sing along in Spanish. Good for FLES classes. Maurice River Twnsp Spanish Resources/Rich! Select from a list to see hundreds of useful Spanish phrases in 12 categories. The culture of the Spanish-speaking world/Rich! Wikipedia guide on Spanish/muy rico! Spanish Internet Sites from Brooklyn College/Rich! 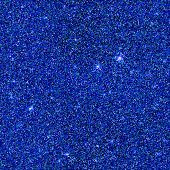 Very Rich Spanish Site from E. L. Easton/Loaded with information! Madrid? Buenos Aires? Mexico City? Dozens of links to explore here from York Tech. The Latest News From Spain. Hot off the press. Listing of Spanish Newspapers online/Rich! 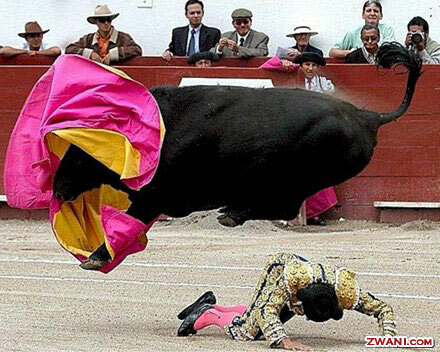 Mire Mamá, El Toro is flying over El Matador doing pushups. I'm hiking on over to Barcelona. Hike along with me. 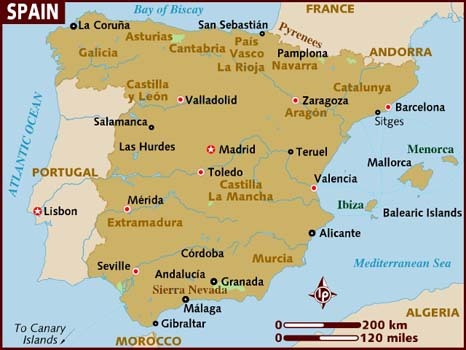 When you are looking at moving to Spain, International Movers can quickly and easily provide you with up to 6 quotes from international moving and shipping companies. The moving companies will contact you by offering you their prices for your move. Then you can compare different offers and find the best moving company. A site taken from my Best Japanese Websites and worth sharing here. A Hatsune Miku: Japanese HOLOGRAPH Plays Sold Out Concerts Enlarge your screen. Cool site. Care to view the highly popular Best Chinese Websites? See if you can work your way through each quiz below. Jim's 27 Different Languages Website. Just added Pashto. Two dogs dining in busy a restaurant and do enlarge your screen. 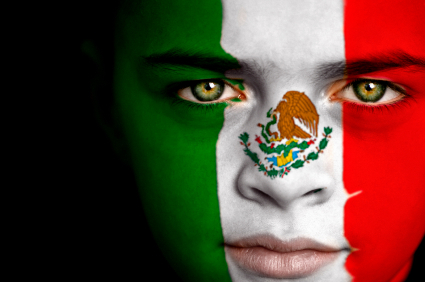 Now hear el "Himno Nacional Mexicano" in two languages. I am stirring up some new words in Spanish. It will be up to you to learn them. The Best Spanish Websites listing. Lots of them. Note that GOOGLE rates this site #2. Games & Apps for learning English & Spanish. 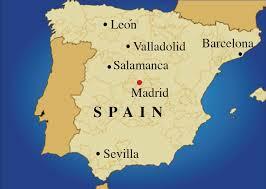 The World Heritage Sites in Spain.There are 39 of them. The 1000 most common words in Spanish. See how many you know. Additional Cliffs Notes for Spanish 2. More details here. 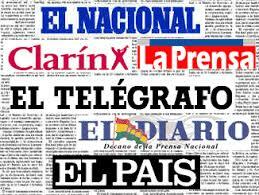 What are the top Spanish news sites? 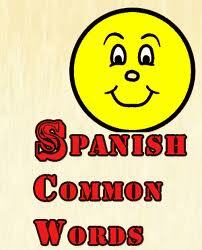 Welcome to SpanishDict! We offer the most accurate Spanish to English to Spanish translation through our Spanish translators, dictionaries, and verb conjugations. It is all NEW and looks good from here. Enjoy. 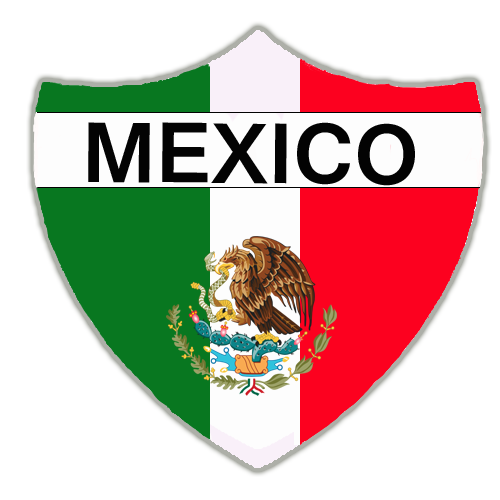 Spanish National Anthem - "La Marcha Real"
Mexican National Anthem - "Himno Nacional Mexicano"
Why not just sing along here as well. WOW! The loudest anthem ever? Guess where it is being played. I just moved this one back to the top as I like it a lot. Spain captured in dozens of photos. Two Hours of Spanish Guitar Music. Disfrutar del sonido. 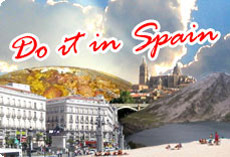 Spain homepage features holiday ideas and travel advice including expert hotel reviews and all our latest Spain articles. From YouTube / Can you guess number one? A game. Can you name them all? From Purpose Games. Did you like the one above? Now we take in Les Miz in El Teatro Lope De Vega. 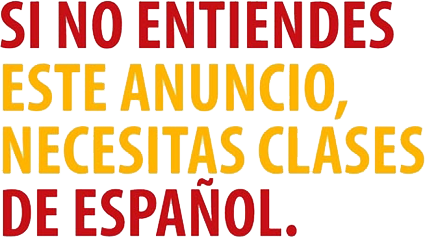 Welcome to EDSITEment's Spanish language website resources for K-12 teachers! Over 500 study sets. This will keep you busy for a while. 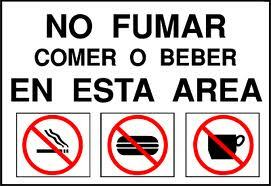 Learn Spanish Free Online. Included is a Spanish Text Translator. Great addition to this site. Cliffs Notes for Spanish 1. Lots of help here. Great aids. Había una vez una dulce niña que quería mucho a su madre y a su abuela. A Mexico Travel Video Guide/51 mins. long. Enjoy. And next: Madrid. The top ten places to visit. Bienvenidos a este espacio que agrupa recursos para alumnos y profesores dedicados a la enseñanza y al aprendizaje del español como lengua extranjera. Audiria is an online tool which freely supports your learning of Spanish, offering podcasts to increase your knowledge of the language. Free resources to help you enjoy learning Spanish quickly, games, verb conjugation, word of the day and more. 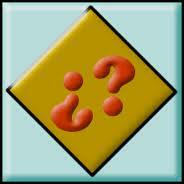 These quizzes are related to the Transparent Language Languages of the World software program. Have some fun learning. Don't bypass this one. It's a animal love story. The ending is awesome. It's a fun video for beginning to intermediate students. 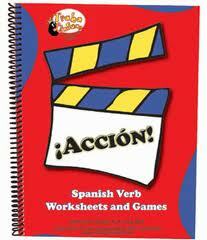 These are all great for beginning Spanish and for general review of high fequency words. Be sure to enlarge your screens for all three above. The pictorial guide has tons of vocabulary builders. Same thing as above but focusing on Mexican expressions. 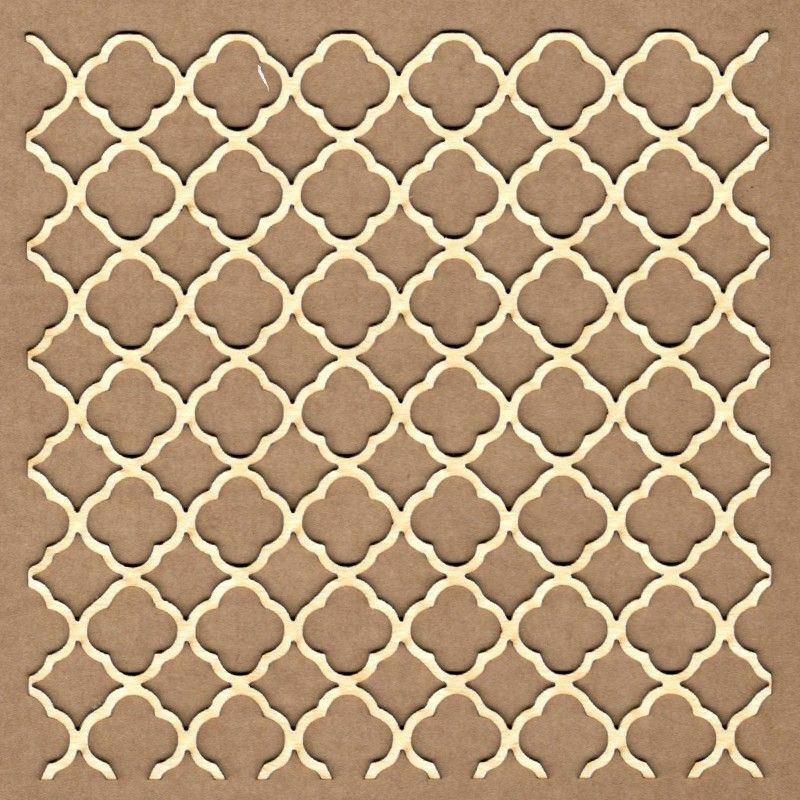 If you have some time on your hands, as it is long, check out this site on YouTube. Then, enlarge your screen. It is about a lost city in Colombia believed to have been founded about 800 AD, some 650 years earlier than Machu Picchu. It is a recent discovery. Read more about it on the next link below. This site goes into lots of detail on each of the verbs with tenses and related topics. By Ron Stone. A fun new discovery with lots of new games on every level. 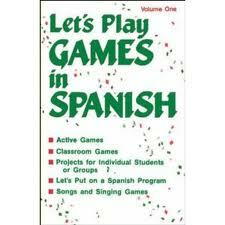 Spanish games is a free online resource for kids and young adults learning beginner Spanish. Dozens of Spanish sites for perfecting the language. You'll have fun surfing through these. Another new find with multiple links on a good variety of topics. More great surfing here. A nice variety of games and activities as well as teacher resources. You may have to go down to the bottom and/or enlarge the space. I did. There are currently 44 countries that have at least 3 million Spanish speakers. Anybody looking to increase their travel opportunities, social life and job opportunities will find learning Spanish beneficial. There are many on the market so check this one out for yourself and see how you like it. Free Spanish Exercises. Lots of them. From Luella HS in Locust Grove, GA.
A long listing of printable worksheets for immediate use. This page lists exercises to practice grammar from the most common grammatical themes found in the typical Spanish curriculum. Conoce España a través de sus diferentes regiones y comunidades autónomas. Recórrela siguiendo diferentes rutas culturales e históricas a través de su territorio. Are you planning to visit Spain? Welcome to our Spain travel guide. Here you'll find tourist information on all of Spain's major cities and holiday resorts together with advice on how to travel around one of Europe's most exciting tourist destinations. Your complete guide to travel in Spain. 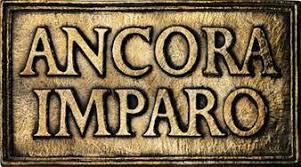 We've tried to include a wide range of information which will be useful to both independent travelers and history buffs. You'll find information about well known monuments such as the stunning Alhambra Palace in Granada as well as the less well known small villages which are off the beaten track and manage to maintain a truly medieval air. A traveler's guide to Spain. Great new find. Profile of General Demographic Characteristics, Census 2000 and 2010. General links, Language and Linguistics, Cultural Topics, Games, Geography, Free YouTube Lessons and more on one site. Web Spanish is an online Spanish school that provides students with trained Spanish tutors that offer one-to-one Spanish classes over the internet, and "El Mundo Hispano" is our blog. We use this space to publish free Spanish lessons that our teachers often use to complement their course material in the classroom. 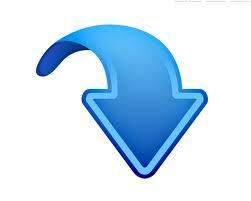 This is one great site as it has both the words and you hear the correct pronunciation. Welcome to the WyzAnt Spanish Help Section. It is a resource for students who are struggling with Spanish class - whether it's Spanish grammar, conjugating verbs, or even recognizing false cognates. Many choices available. You choose the country and Trip Spot will provide tons of information on that country for you. 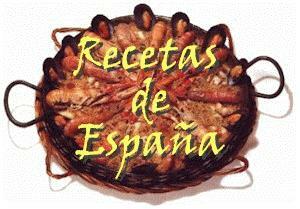 A one-stop URL with tons of information on Spain for visitors. Dozens of great vocabulary builders and all with sound. This is one great NEW FIND. A great menu with lots of choices. The modules you see on this site are organized by units, for an easy search. 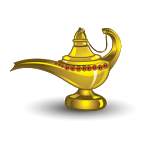 It is a collection of free teaching resources for Spanish classes. 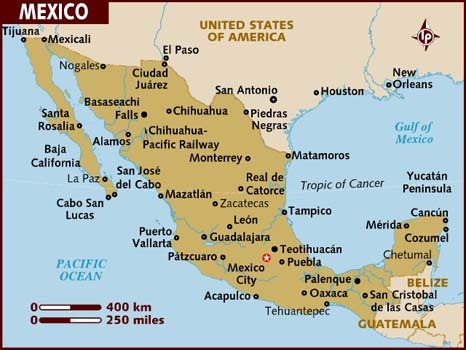 You can even choose which part of Mexico you want to explore. It's an awesome find. Enjoy. Now check out the rest of the world. 15 topics to improve your vocabulary. Drag and drop the names with the pictures. Dozens of choices. May be the most complete listing on the Internet. 109 lessons with sound for building vocabulary. Curriculum units, teaching materials, virtual picture books, videos and more. A neat NEW site. You'll enjoy just surfing through the wide variety of materials. Always Spanish is where extreme learning meets instant gratification. 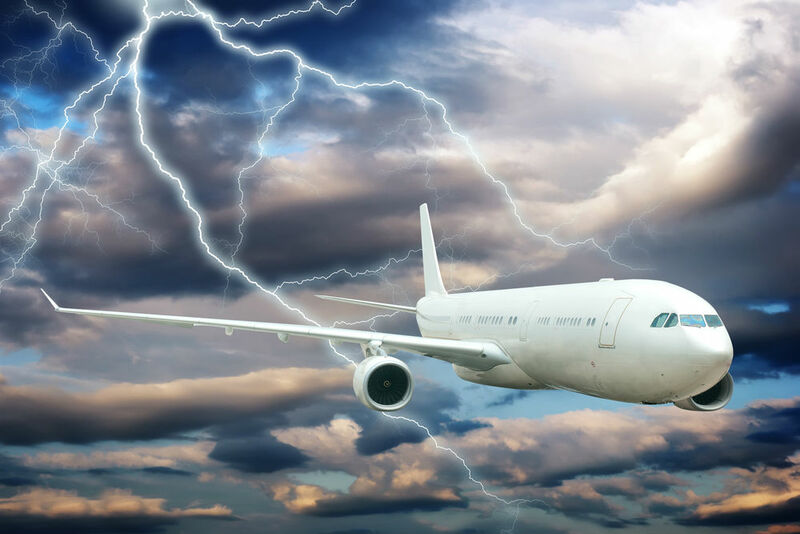 Here, you'll find articles discussing some of the most unorthodox yet promising Spanish-acquisition methodologies, a consistent adoption of which should see you rattling in Spanish like the natives without so much as turning a page. It's truly a loaded site. Todas las palabras que existen pronunciadas por hablantes nativos. 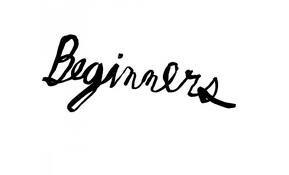 Whether you are a total beginner, intermediate or advanced student, there should be something here of value for you. It's a loaded site. Here you can find a lot of Spanish resources from Spanish universities, Spanish schools, Spanish art, Spanish culture to travel and tourism. businessspanishcom'll teach you how to speak and write business and conversational Spanish by listening and repeating examples and simplified grammar rules. 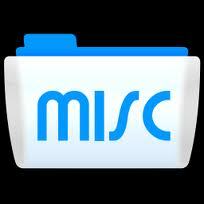 ALL LESSONS and each topic contain vocabulary with recorded AUDIO, and they are organized in Chapters. Spanish ESL ESOL ELL EFL Games Teaching English as a Second Language. They dug up 119 Free Online Language Sites for you. A collection of useful phrases suitable for a variety of situations in many different languages with sound files for quite a few of them. Now listen to that expression in that language. A fun way to learn Spanish. A series of videos to improve your listening comprehension. The first poems in Spanish finder which can find poems that contain certain words from over 10,000 poems of the best Spanish and Latin American poets, besides being able to find poems by different themes, poems and music analyzer meter and rhyme. A word search, the largest dictionary of synonyms and antonyms that exists in Spanish, a rhyming dictionary, and many other resources. The beautiful pictures combined with audio provides an enjoyable multimedia experience -- a nice change from the pages of a text book. A great means to expand your everyday vocabulary. It's well done and easy to use. 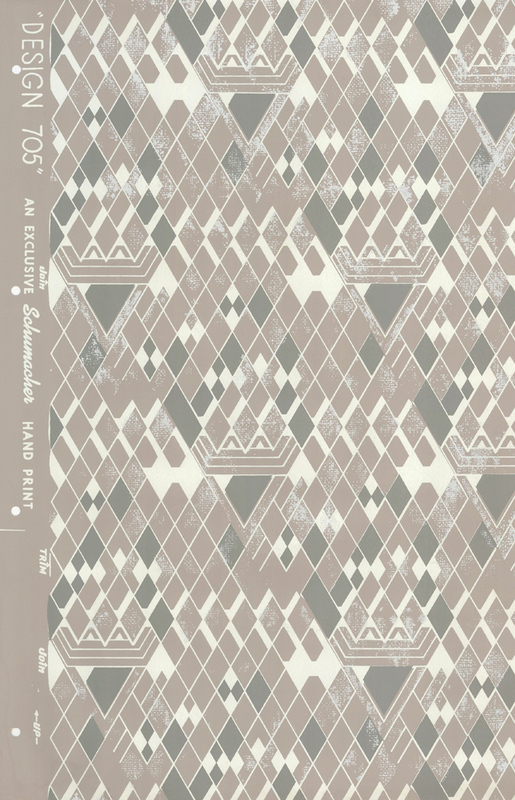 Just one more with Fernando Lima [it's new] - El Condor Pasa - It's totally cool too. - El Condor Pasa - I just had to share this Peruvian scenery with you. And that BIG BIRD. Thinking teachers teaching teachers. 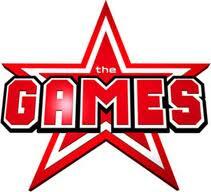 A plethora of games, activities and super links. Free Spanish Worksheets, Games, Tutorials and Studytools. Univision (Spanish pronunciation: is a Spanish-language television network in the United States. Our singular purpose is serving Spanish Teachers and their students currently enrolled in grades 6-12. Interact was founded by a former Spanish Teacher in 1983. Today, Interact is still owned and operated by the same person [Jim Koss], assuring a continuous commitment to the company's original goals. We proudly serve over 500 schools, with the vast majority located throughout the Midwest and in the state of Washington. Your Webmaster has traveled to Mexico with Interact Travel. The Spanish culture is rich, colorful and mysterious. Yes, the Spanish culture and lifestyle differs tremendously from that of the other European countries. Their attitude and character traits might even seem a little offensive and blunt to people from other cultures. But, this is who they are and this is exactly how they are. 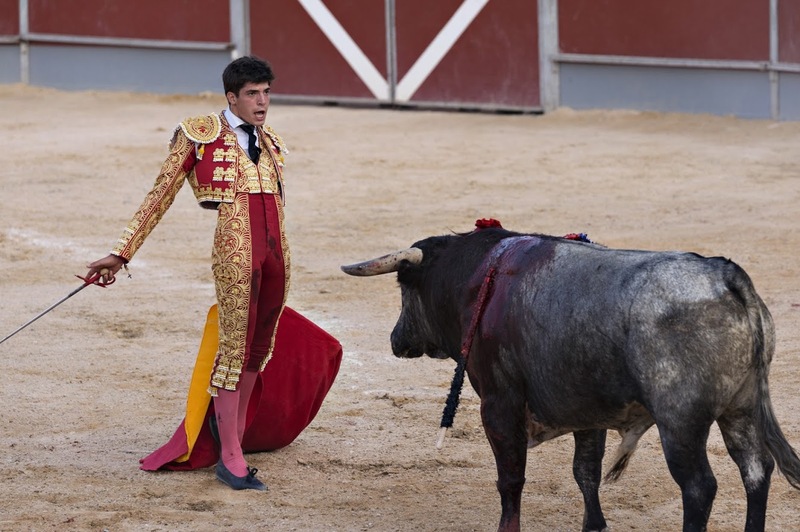 This is the real beauty of Spain and its people! Spanish Units - 24 of them. Great review or introduction to the language. Bienvenidos to a resource centered around Spanish! 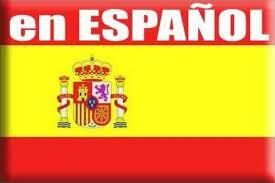 We hope that this site helps you locate the Spanish information you need to find on the internet. 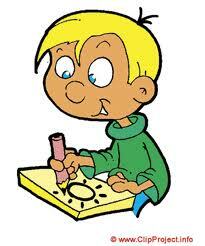 You can even create your own test on this site (Cree sus propios ejercicios). A super new FIND with many well-done vocabulary builders w/sound. Excellent! 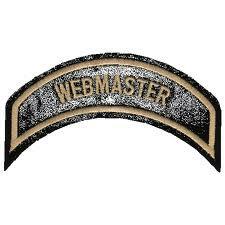 A Webmaster's choice: Very helpful for building new words on all levels of instruction. Practice Spanish (Mexico) vocabulary, expressions, the alphabet and numbers..
Our collection of games are selected to help teach the primary Spanish curriculum. Games are classified into year groups and we display the most popular games at the top, as rated by our users. 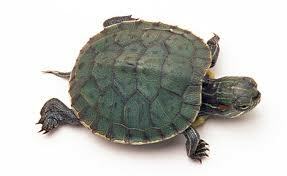 A host of activities for learning numbers, colors, animals, greetings and much more. This Elementary Spanish Resources Page is divided into 3 sections, Lesson Plans, PowerPoints & Worksheets, all containing specific resources for teaching Spanish to Elementary students. 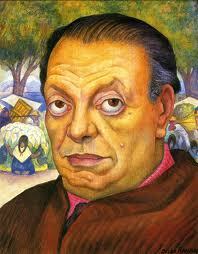 Spanish Poetry / A totally loaded site. #1 with GOOGLE for Spanish poetry. Very rich. Software Reviews & Tips on How To Speak Spanish. Spanish Flashcards with lots of helpful topics. In this guide you will find Spanish Cinema, Dictionaries, Fun Stuff, Grammar, Language Schools, Literature, Magazines, Online Classes, Forums, News, Pronunciation, Spelling and Writing, Teaching Resources, and Vocabulary. 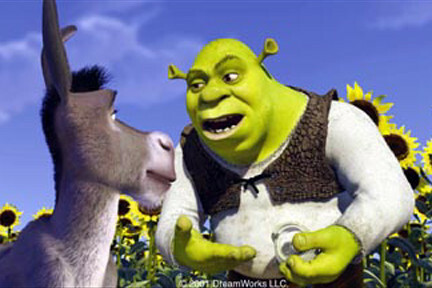 "If we hang around this site very long Donkey, we'll be speaking Spanish"
"Well Shrek, I really like all these sites here and they are all FREE." 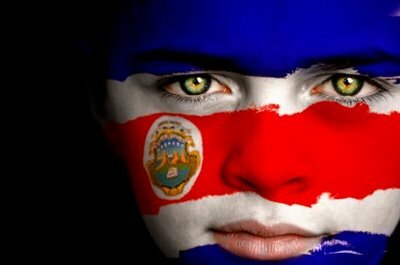 With Word2Word just below we can start learning Quechua or Slovak. We have attempted to place as many online courses at your disposal as possible. These sites contain lessons to help learn one language from another. 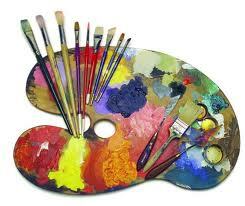 The courses vary in quality and the quantity of material presented. . 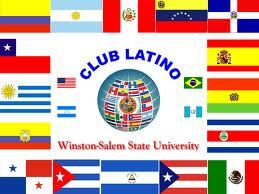 Earn College Credits Fast with Spanish CELP (College Level Entrance Proficiency). If you took one to two years of high school Spanish classes or grew up in a Spanish speaking environment, we recommend taking the Spanish CLEP exam. 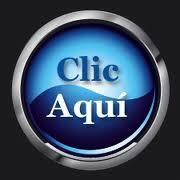 We can give you the instruction needed to earn credits from your college or university by taking the Spanish CLEP exam. 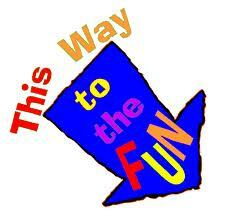 A variety of games, activities, songs, rhymes, printable activities and audio. This is our guide to what we feel are the best Spanish websites on the web. the following websites contain free Spanish materials, including: lessons, tutorials, games, audio, grammar exercises, vocabulary lists, and much more. If you need help with Spanish, start with this list of websites! ps. 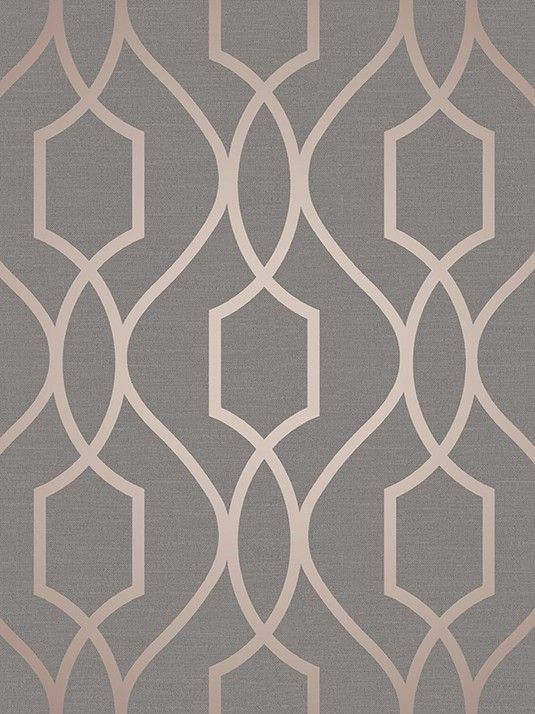 This one is on this listing. How to Learn Spanish Online for Free. Here you learn how to use fun and interesting Spanish media like music videos, TV shows, and movies to learn Spanish. By Larry Ferlazzo of Sacremento, CA. National Register of Historic Places Program: National Hispanic Heritage Month / Hispanic Americans: Making a Positive Impact on American Society. A blog of Spanish learning websites. This site is loaded. 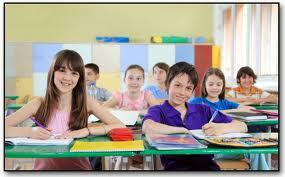 You begin with multiple choice vocabulary exam and then may go on to a wide variety of other topics. A great new discovery. Learn greetings, counting, days of the week, months and more all while singing in Spanish. It has been proven that you will learn faster and more effectively by learning from your mistakes. This site will correct your mistakes for you. This is the main concept of this site. There are thousands upon thousands of exercises in this database to help you improve yourself on your chosen topic, whether it's verbs, vocabulary, right tense, ser/estar, etc. 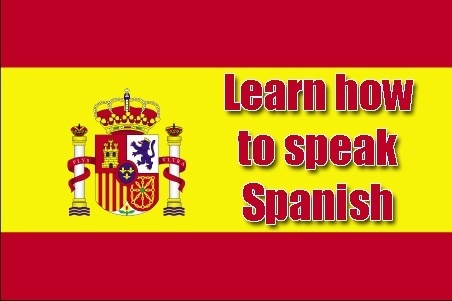 There are free Spanish tutorials, grammar exercises, games, lessons, and much more. Many of the sites are interactive and many offer free audio to help you practice both pronunciation and comprehension. Plus Top 5 Spanish Resources. Welcome to the SPANISH area at Project HappyChild. An introduction to Spanish. A video instructional series in Spanish for college and high school classrooms and adult learners; 52 half-hour video programs . Arrastra las palabras a las verduras que forman la cara. Arrastra las palabras a las imágenes. 24 helpful sites to help you learn Spanish. 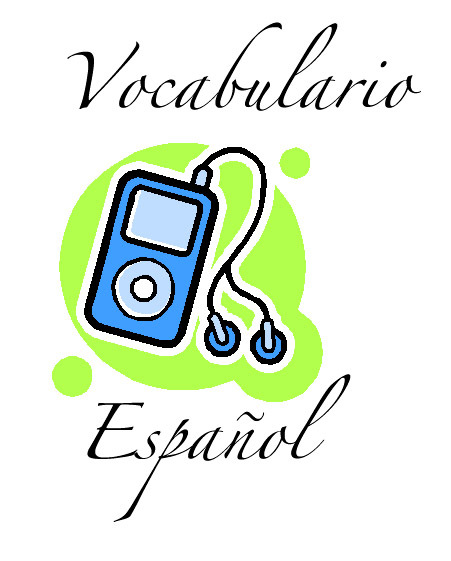 Learn Spanish by reading and listening along to Spanish Audiobooks. Quince Años - Time For a Fiesta! The Quinceañera or Quince Años is a young woman's celebration of her fifteenth birthday and acknowledges her transition from childhood to womanhood. It is a significant passage for adolescent girls in almost all cultures. From a north-of-the-border viewpoint, it may be seen as a cross between Sweet Sixteen and a debutante's coming out party. A fun means to learn six different languages/you must see this one. El condor pasa - PERU / 5 million "hits" / A classic here! Now take in a Tango with 13 million visits. Free online Spanish exercises/Rich Site! Yepes' Spanish Practice from Bowdoin/Rich! Gramática y ortografía/J. Soto/Indiana U.
Pronunciación, Gramática, Proverbios, Ortografía y más. Mexico Google Satellite map that maps Mexico locations. Maplandia.com enables you to explore everywhere in Mexico through detailed satellite imagery - fast and easy as never before. Teotihuacán is an extensive ancient religious complex near Mexico City. 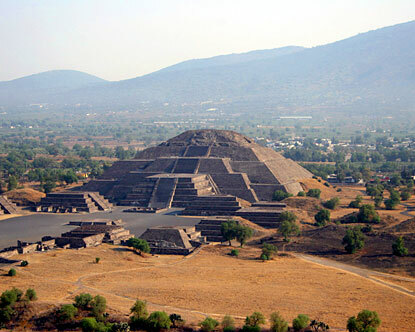 Its many architectural marvels include the enormous Pyramid of the Sun, one of the grandest monuments ever erected. The ancient city of Teotihuacán is just 30 miles north of Mexico City, and is the country's most visited ruin. 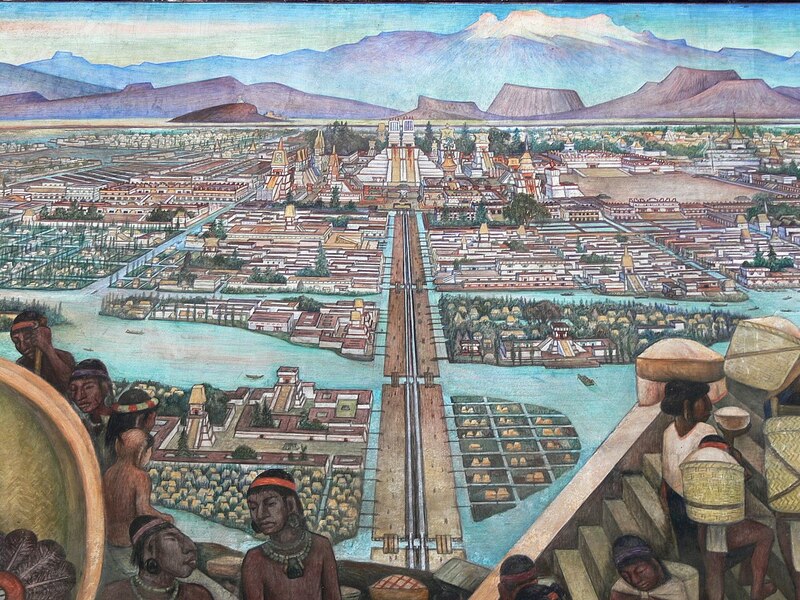 The Aztec capital of Tenochtitlán (at modern Mexico City) was founded in 1325 on a muddy island in the lake that at that time filled the Basin of Mexico. 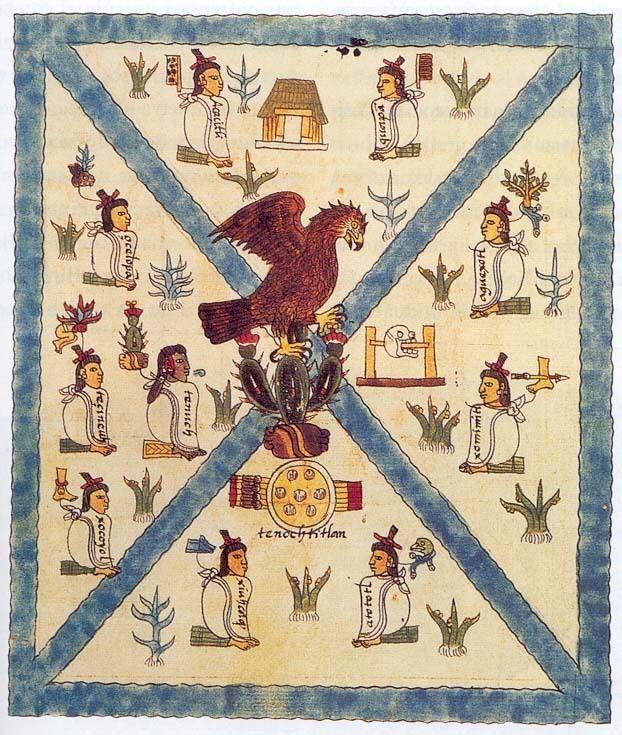 A second group of Aztec settled the nearby island of Tlatelolco in 1358. Both sites began as small collections of reed huts but, with the growth of Aztec power, developed into cities, eventually fusing into a single conurbation. Chichen Itza is one of Mexico's most popular tourist destination, and rightfully so. But the contrast between the two can be measured in more than just distance and time. It is a massive step pyramid, known as El Castillo or Temple of Kukulcan and dominates the ancient city, which thrived from around 600 A.D. to the 1200s. The Mayan city of Tulum is a 13th-century, walled Mayan archaeological site at Tulum National Park that overlooks the sea. It incorporates the clifftop Castillo, built as a watchtower, and the Templo de las Pinturas, with a partially restored mural. This is one of the coolest sites ever in MC. Highlights include -The Sun Stone or Aztec Calendar| Recreation of Pakal's tomb in Maya exhibit room | Jade mask of the Zapotec Bat God in Oaxaca exhibit room. As a tribute to all of them, the National Museum of Anthropology and History was inaugurated on September 17, 1964, located on Paseo de la Reforma Avenue, in the second section of the legendary Chapultepec Park. Every hall has at least one outstanding feature, but if you have limited time, the Aztec and the Maya rooms are the highlights: what else you see should depend on what area of the country you plan to visit. Whether you want to master another language or just learn a few words for travel, we've got the language learning tools for you. 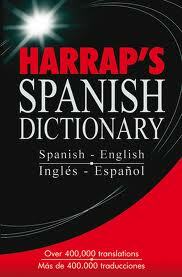 You will have to search for the Spanish one or another language that you want to learn. It is fun learning everyday expressions in several NEW languages. Pregúntale a la gente que conoce ese lugar. Spanish grammar is not the most exciting thing to learn about the Spanish language. When we learn a language we start talking without the need of grammar knowledge. On the other hand grammar holds everything together; it determinates the structure of a language. 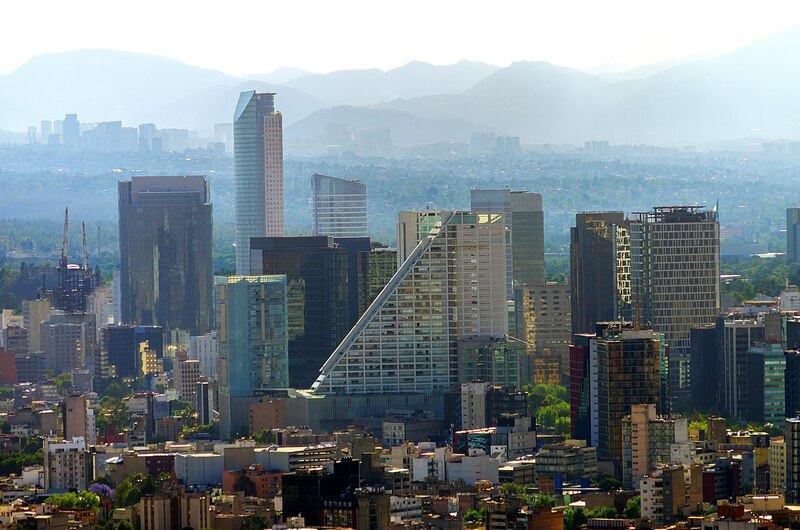 Mexico City is the densely populated, high-altitude capital of Mexico. It's known for its Templo Mayor (a 13th-century Aztec temple), the baroque Catedral Metropolitana de México of the Spanish conquistadors and the Palacio Nacional, which houses historic murals by Diego Rivera. I know from my own experience that being on a continual path of self-improvement is an absolute necessity toward be a good teacher. 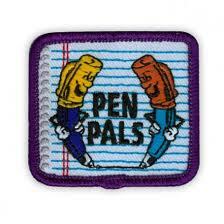 Hang out with other educators that you admire. Watch them closely and learn from them. Imitation is the greatest compliment! Join your language association AATSP - (http://www.aatsp.org) plus two foreign language teacher associations (state and national: ACTFL - (http://www.actfl.org) and attend their annual meetings on a regular basis. Get involved anyway you can with each. Rub noses with people at the TOP of the profession. Get to know the officers personally and keep in contact with them. 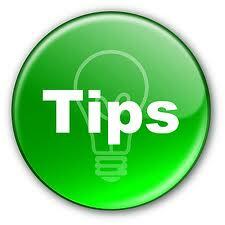 Use AATSP association offerings, suggestions and resources. 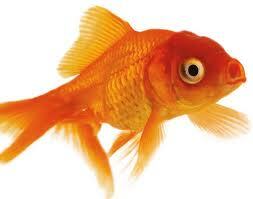 Whenever you can in your own environment, ask to observe your colleagues in action in their classroom. Pick up ideas that work for them and adopt and adapt them to you own classroom. 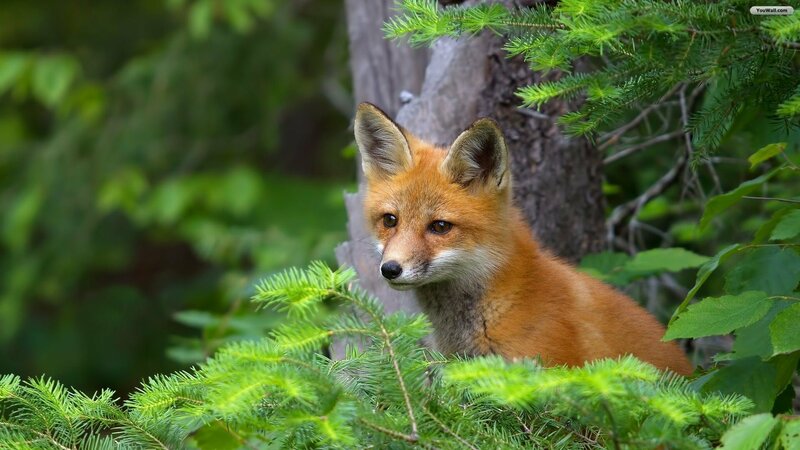 Always be on the "lookout" for new ideas, new means of teaching, new ways to incorporate things that work for others into your own methodology. Don't hesitate to ask questions of teachers who have had much success as to how and why that happened. 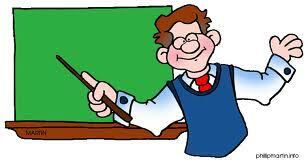 I used to observe elementary teachers and how they interacted with their young students. Always something to learn. "Learn from the mistakes of others. 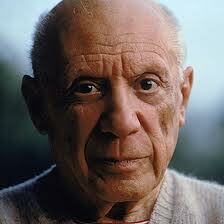 You'll never live long enough to make all of them yourself." 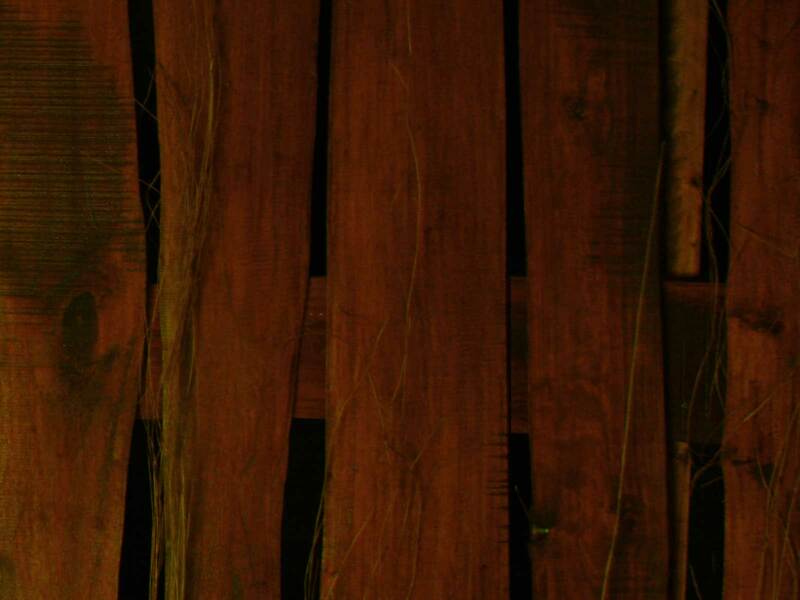 Another that I always loved is "If you think you're GREEN, you'll grow - if you think you're RIPE, you'll rot." All true. Don't rot! That's an axiom that will never grow old. You may think that you are the best, but you're not. There is always someone better than you. (I learned this playing basketball) Learn from them. Know what the best practices are and be aware of the current online resources that can be of great help to you and your Spanish students. Keep your classroom presentations FRESH. Keep up with innovation and the changing needs of your students by incorporating technology such as computer use, iPhones, iPads, e-mail and a host of other innovations into your routine classroom activities to communicate with others in the target language and to access authentic resources. Stay current with options and trends in the field such as the National Standards and know how to incorporate them into your daily plans. Hopefully these few ideas will aid in your growth and success. Stay with it. Don't throw in the towel like many have, but again as I point out above, whatever new ideas you discover, you must first adopt and then adapt. Not everything you see elsewhere will work for you as I have personally learned. You must adapt those ideas to your own Spanish classroom. There are a host of great ideas available on all these sites, but they are only as successful as you will make them. And perhaps most important of all, do ask your students often how they feel about what they are doing and learning and what they enjoy the most and the least in your classroom. Most of all, do enjoy your students and share yourself with them. [ They don't care how much you know until they know how much you CARE] I hope that you picked up some ideas here that will aid in your total success. Have fun in your classroom. (ps I picked up these ideas in a recent dream and wanted to share with each of you) I'm 78 years old now, but never too old to learn and never too old to share neat teaching ideas. Best yet, why not be learning another language yourself? Check out one of the sites above. It is a great means to experience first-hand what your students are feeling. Now you are "walking in their shoes." Remember to have FUN doing it.